Maintain a productive learning environment with behavior management charts for students. 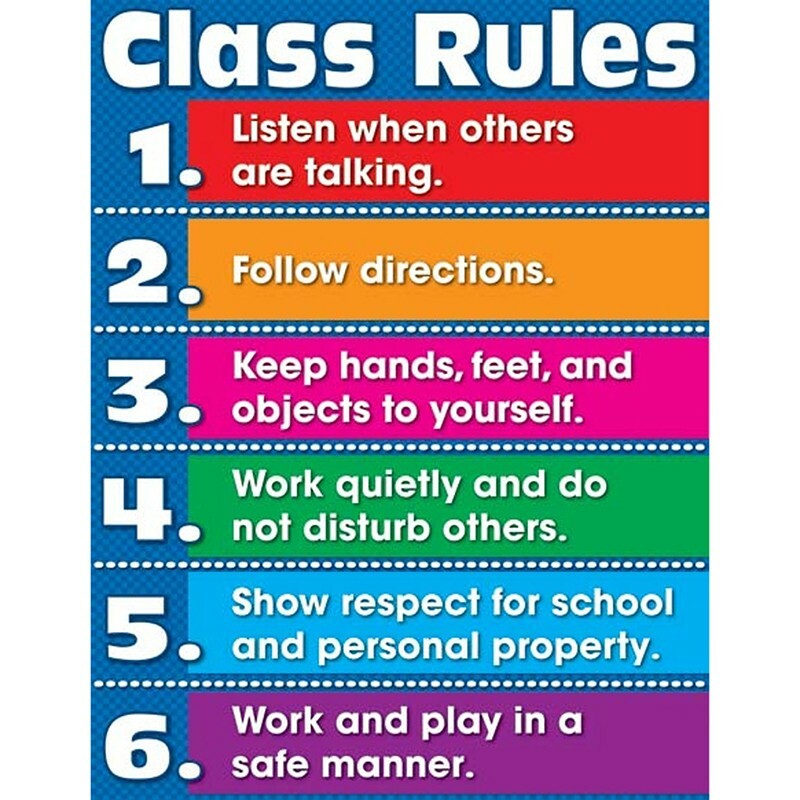 The Class Rules chartlet displays six simple rules for creating a positive environment. This classroom chart measures 17" x 22" and is ideal to display anywhere in the classroom to help manage and motivate students. For Grades K-5 / Ages 5-11.